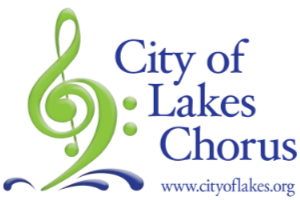 The City of Lakes Chorus is proud to be a part of the Twin Cities community, and gives back in many ways. Our members volunteer approximately 2,020 hours per month for ours and other organizations they are passionate about. T he City of Lakes members have supported the Lewis House (a safe place for women and children who are escaping abusive situations) with donations of cash and needed supplies for over 10 years. Each year, more than 500 women and children receive a safe place to stay and an additional 1600 women and children receive outreach services. Our chorus is proud to be associated with an organization that does so much for so many women and children in need. Information about the Lewis house and other community programs can be found at www.360communities.org or by calling 952-985-5300.